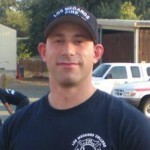 Fire Captain Lester A Fuzell, Sr. is a 33 year career professional firefighter with the Los Angeles County Fire Department and CEO & Administrative Consultant of AfroFireHire.com. 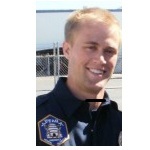 He solidified his foundation, becoming an Emergency Medical Technician with a stint working for Scudders Ambulance in Laguna Hills, CA. In 1977, after graduating from El Toro High School, CA, he worked as a seasonal firefighter with CalFire (then the California Department of Forestry). He was successful in his first fire department examination at 18 years old, scoring 100% on his oral interview and becoming a sworn Los Angeles County Fire Department firefighter in 1978 at 19 years old! 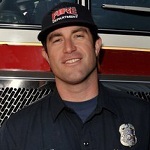 As a firefighter, he was an Explorer advisor and was an active member of the Explorer Advisory Committee while assigned to Truck 127, stationed at Fire Station 127 in Carson, CA, the home of the “Emergency” television series. He became a certified firefighter/paramedic in 1980, working in Carson and Norwalk, CA and was a member of the Paramedic Advisory Committee. 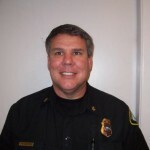 He promoted to fire apparatus engineer in 1984 and was also a fire prevention inspector in the department’s newly formed Hazardous Materials Disclosure Control Unit as well an Arson Investigator with the Fire Investigation Unit. During this time he served as an active member of the departments Plans Team on major emergency incidents. Promoting to Captain 23 years ago in 1989, he has worked various assignments throughout the county from Battalion 1’s West Hollywood and Marina Del Rey, CA to Battalion 5 in Malibu. Time spent in Battalion 4 in Altadena and Battalion 17’s Soledad Canyon of Acton/Agua Dulce, CA honed his love of wildland firefighting. 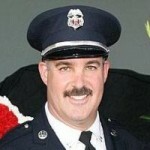 He has supervised well over 25 probationary firefighters and engineers during his tenure as fire captain. He became a certified Background Investigator, conducting Firefighter Trainee candidate background investigations and has been a member of the departments Firefighter Trainee candidate interview cadre. He is a CICCS Type 4 Incident Commander and a Documentation Unit Leader. He also mentors at-risk youth with the Los Angeles County District Attorney Rescue Youth Program. He is a member of Los Angeles County Firefighters Local 1014, the California Firefighters Association and the Los Angeles County African American Firefighters Association, The Stentorians. He has mentored many firefighter candidates in his 33 year career, starting early giving his time spent as an Explorer advisor with the County and branching out throughout his career to helping those with an interest, determination and effort in pursuing a career in the fire service. AfroFireHire.com, a company which brings information in a straight forward real world perspective to its demographic, the African American community. Available to everyone, the site is a clearing house of information to “open the apparatus room doors” to the opportunities available as well guidance to understanding the “rules to the game” in successfully preparing and competing for a position as a professional firefighter. AfroFireHire.com also “goes to the heart” of self examination, preparation and self-improvement where a person’s life choices determine future opportunity. It’s Mission Statement, “Empowerment is more than talking at someone, it’s speaking to their opportunities” speaks to engaging a person, mentoring and providing worthwhile guidance and information to reveal their opportunities for success and overcoming obstacles, some of which are prevalent in the African American community. Connecting with firefighter candidates through the website, publishing and public forums and workshops, he can be reached @ fyrcapmo@afrofirehire.com. AfroFireHire.com Mission Statement – “Empowerment is more than talking at someone, it’s speaking to their opportunities’. Will you being your career like an empty toilet paper roll? Ethical Questions or How Not To Sink Saving Your Buddy! A candidate, questioning the oral board process, wondered what happened to the days when you would step up to help a brother who had gotten themselves into a less than desirable position? Also wondering why it seems to easy to “throw your buddy under the bus”. We’re not in Kansas anymore, and your “buddy” doesn’t sign your paycheck! Unity of Command answers that question! Begin To Dress To Your Success! Make an excellent, long standing first impression; show that you are serious and set the bar higher for others to reach! Posted in Secrets to Success | Comments Off on Begin To Dress To Your Success! No one talks about the fact that to begin to compete for today’s firefighter jobs “you’ve got to pay to play”, meaning that to realize your goal of becoming a professional firefighter requires that you shell out some cash. When I speak to a person who wants to be a firefighter, I explain that it is important first to have the passion for the game, that to want to be a firefighter is consuming.